Multiple security companies have reported an exploit in the wild infecting users with the Dridex Trojan. When recipients open the document, the exploit – if successful – is used to carry out a series of actions that lead to the installation of Dridex botnet ID 7500 on the user’s system. All users should always be extremely careful when opening any attachment in email and should apply the patch expected to be provided by Microsoft tonight. Two of the four critical vulnerabilities are for Windows operating systems, one affects the Office. The most severely addressed vulnerability in the Office bulletin could allow Remote Code Execution if a user opens a specially crafted Microsoft office file. The final critical update is for the Edge web browser in Windows 10, The most severe of the vulnerabilities could allow remote code execution if a user views a specially crafted webpage using Microsoft Edge. An attacker who successfully exploited these vulnerabilities could gain the same user rights as the current user. Customers whose accounts are configured to have fewer user rights on the system could be less impacted than those who operate with administrative user rights. Text is great, but illustrations bring your presentation to life. PowerPoint Online’s latest update allows you to make your illustrations look perfect. You can easily select, move, resize and delete objects with your keyboard or mouse. The new Smart Guides feature helps you effortlessly align your objects with other content. Multiselect allows you to format more than one object at a time. You can even move objects outside the slide area while you format other content. Previously, PowerPoint Online only allowed you to view and relocate existing tables. The latest updates will allow you to create, edit and format your tables in the browser. You can even resize rows or columns. We know our customers use Office Online on a wide range of devices. PowerPoint Online’s new full screen Reading View and Zoom tool in the Editing View allow you to have a more comfortable experience on small screen devices. Word Online is also releasing a High DPI experience for viewing PDFs. Real Time Presence in Word—While Real Time Typing will ship in subsequent builds, Microsoft is rolling out a key part of that collaborative experience with Real Time Presence. Real Time Presence allows you to see where in a document your teammates are editing. 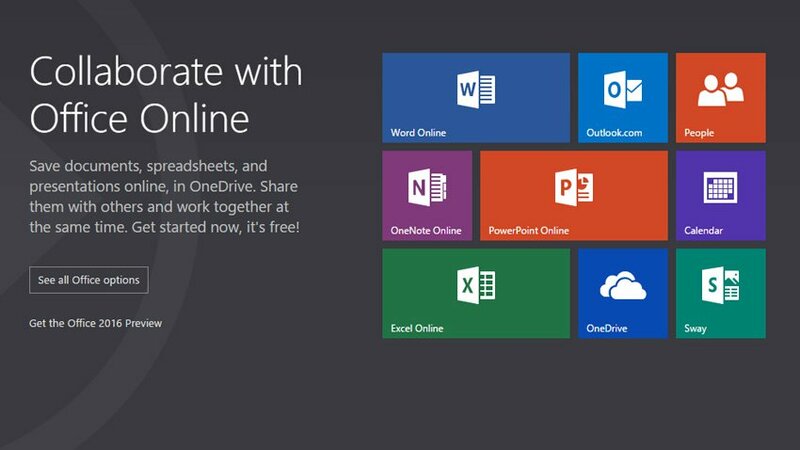 Available first for OneDrive for Business subscribers, it will be available more broadly soon. Simplified file sharing—Microsoft is simplifying the process of sharing files and making them available to others to review, comment, and edit. Just clicking Share on the Ribbon will save your file to the Cloud and make it available to others in one easy step. The Office 2016 Preview is available for download for Office 365 users and to anyone has signed up to the preview program. 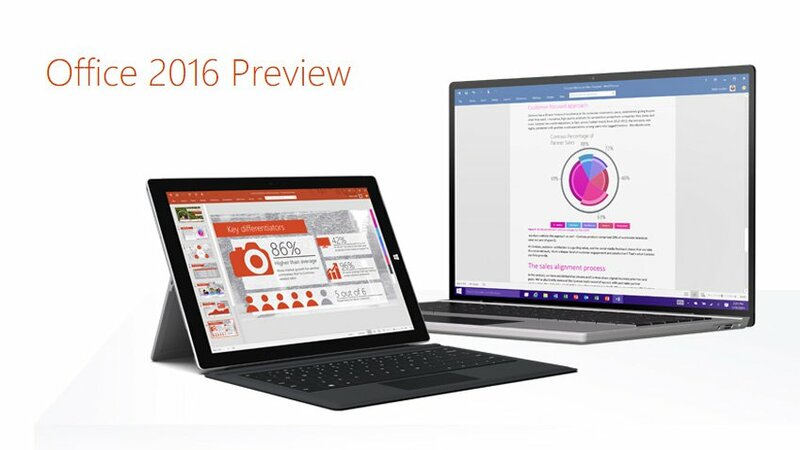 Available in a VERY early form previously the Office 2016 Preview is now available to anyone wishing to test it. Both Office 365 and on premises Office users can test the new versions of Word, Excel, Outlook etc. Of course this software should not used in your production environment, but it is a stable release and suitable for use in most test environments. In November of 2014 Microsoft and Dropbox announced they were integrating Office and Dropbox. Initially this allowed users of Office Mobile to open and save Office documents from their Dropbox accounts. Missing at the time was support for accessing those documents without or while away from a Microsoft Office client. This week Microsoft has announced Dropbox integration for Office Online. Now you can access your Dropbox files from any web browser and edit them in Office.